Historical ecology is a research framework which draws upon diverse evidence to trace complex, long-term relationships between humanity and Earth. With roots in anthropology, archaeology, ecology and paleoecology, geography, and landscape and heritage management, historical ecology applies a practical and holistic perspective to the study of change. Furthermore, it plays an important role in both fundamental research and in developing future strategies for integrated, equitable landscape management. 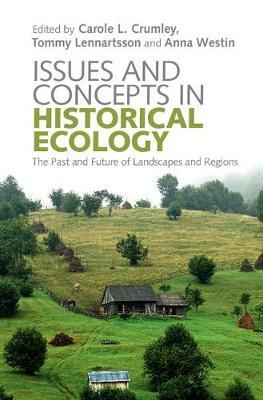 The framework presented in this volume covers critical issues, including: practicing transdisciplinarity, the need for understanding interactions between human societies and ecosystem processes, the future of regions and the role of history and memory in a changing world. Including many examples of co-developed research, Issues and Concepts in Historical Ecology provides a platform for collaboration across disciplines and aims to equip researchers, policy-makers, funders, and communities to make decisions that can help to construct an inclusive and resilient future for humanity.